JKYog, will hold its first West Coast fundraiser in the Bay Area on Sunday, September 28, at the Sunnyvale Hindu Temple in Sunnyvale, CA. The fundraiser includes a fun filled day of cultural activities starting at 11am followed by Dandia at 4pm. The event is targeted at young families in a way such that the entire family, children and parents, is actively engaged throughout the day. Boman Irani Asks Swami Mukundananda: Why Did You Give Up Your Corporate Career? 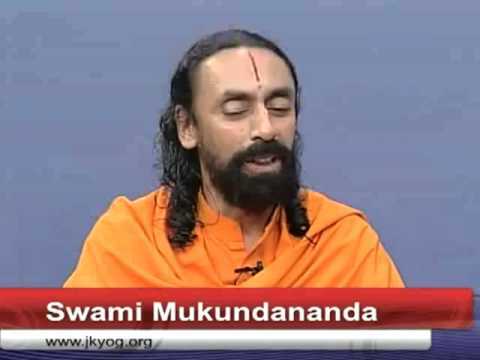 Swami Mukundananda interview ITV-1/2- Why do we need to practice spirituality? Why is Sadhana (Devotion) important in the modern age? Watch this powerful talk where Mr. Boman Irani asks Swami Mukundanadna on why did Swami ji give up his promising corporate career and decided to pursue spirituality. Swami Mukundananda provides a profound explanation that delves deep into how we all make our choices based on values, and how values are further based on our beliefs. 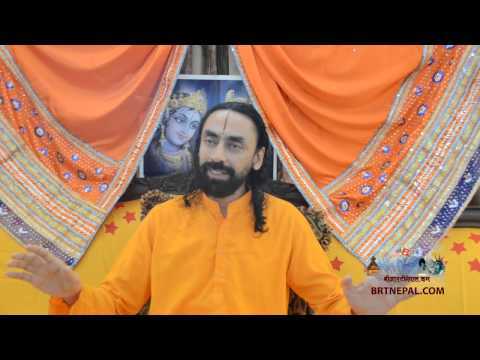 Swami ji explains that the decisions we make are the nodal points in our life. We have made decisions in our life because of which we are what we are today. Students are making decisions today which will influence where they will find themselves after many years. That is why these decisions are so important – these are the choices that we make. The choices we make depend on the VALUES that we install within ourselves. Our intellect accords different value to different things. How much value do you accord to your health? How much value do you accord to your family? And professional success? And to your inner growth? – that is how we divide time between these things. So, it is very important that we install within ourselves solid good values. Swamiji answers some basic question, why do we need to practice spirituality, why are there so many Gods in Hinduism and what is the difference between them, how to choose one's ishtadev (form of God which one worships) and why does a God-realized saint, who is all blissful, comes down to earth, lives with us and does worldly activities, in an interview with Ashok Vyas of ITV. Swamiji answers to the basic question of why we need to realize God, why are there so many Gods in Hinduism and what is the difference between them, how to choose one's ishtadev (form of God which one worships) and why a God-realized saint, who is all blissful, comes down to earth, lives with us and does worldly activities, in an interview with Ashok Vyas of ITV. Swami Mukundananda is a world-renowned teacher of Spirituality, Yoga, and Meditation. He received his degrees in Engineering and Management from two world famous Institutes in India, IIT and IIM. 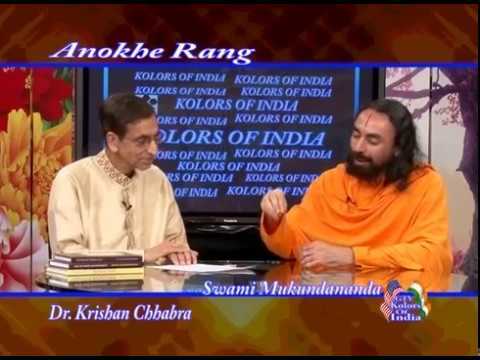 Swamiji is the senior disciple of Jagadguru Shree Kripaluji Maharaj, and the founder of JKYog. He has inspired people all over the world, on the path of spirituality, holistic health, yoga, meditation, service to society, and God-realization. When we are connected to a sense of meaning and purpose derived from an inner understanding of our true nature, anything can be an expression of service to the divine. Swami Mukundananda joins Barnet Bain and Freeman Michaels for a delightful and enlightening conversation about living vocationally. Watch Swamiji talk about the importance of spiritual sadhana (devotion) in today's age, what is the process of sadhana, in which posture should one sit during sadhna, how much time needs to be devoted daily for sadhna and what is the ideal diet for sadhna, in an interview with Renee Lobo of ITV, recently. 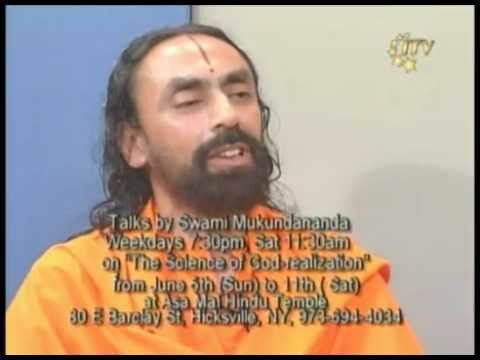 This interview with Swami Mukundananda Ji is part 2 of the 2-part series. The founder of JKYog, a world-renowned spiritual master, Yoga teacher, motivational speaker and an excellent writer, Swami Ji captivates the viewers with his deep knowledge and wisdom, eloquent and logical yet simple explanation, and a great sense of humor - as he answers the complex and intriguing questions about spirituality and life, such as: What lends to the authenticity of the Vedas?